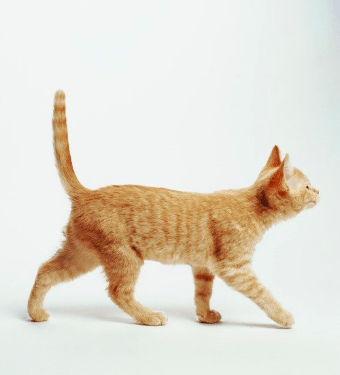 Cat’s behavior seems totally random to us, but there is a method to the madness. There is actually a reason for most of the things your cat does. As owners learn more about these behaviors and their significance, they will be able to grow even closer to their favorite pets. 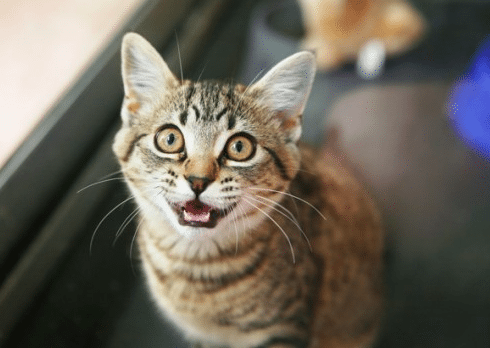 Here is what it means when cats do certain things. This is definitely a weird one to watch. 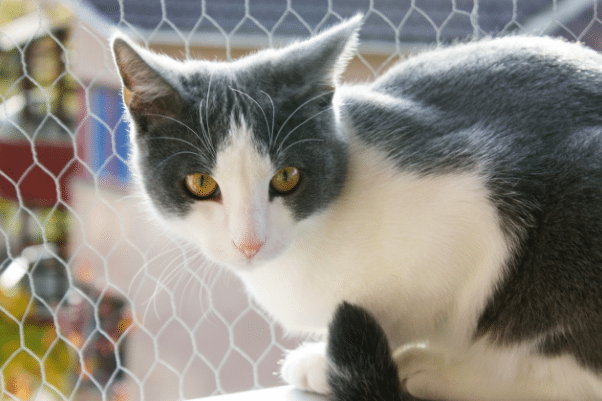 Your cat might run up to the edge of a high surface only to jump off. This is perfectly natural. Cats’ ancestors in the wild had to jump down from trees all the time, so the action doesn’t phase them. This sound is not so cute. 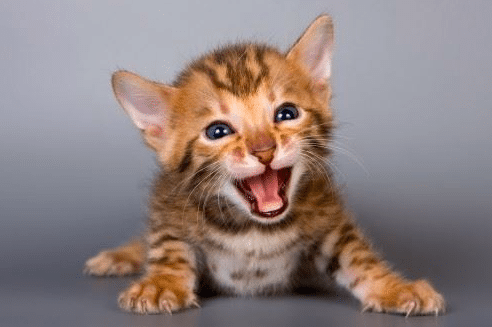 Cats release low meows when they are irritated or ready to defend themselves. 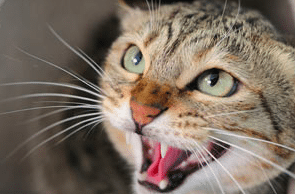 When you hear this noise, be extra attentive to your cat. Cats learn to knead when they are very young; it stimulates milk production in their mother’s breast. Even when the cat gets older, kneading is comforting to them. If your cat kneads you, it means he feels comfortable around you. Cats can actually clean up after themselves most of the time. But when they leave their poop uncovered, it is for a reason. 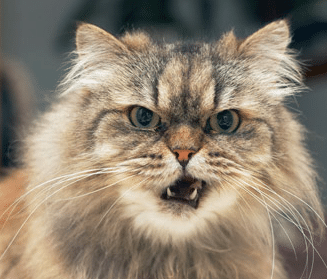 Your cat is expressing anger, usually with his owner. 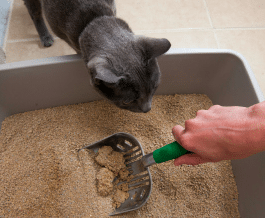 If you keep finding uncovered poops, you may have some issues to resolve with your cat. Hopefully you don’t see this one too often. When a cat twitches his ears, it means he is agitated or feeling anxious. Back off and give your cat space. He will come around. 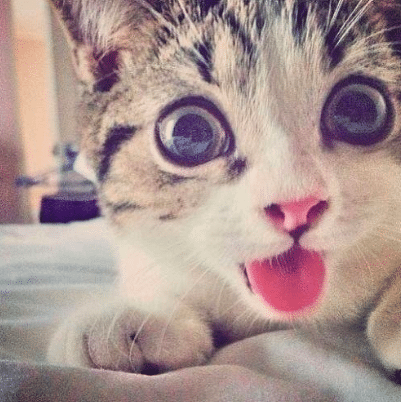 Soft, sweet meows are a cat’s way of saying hello. 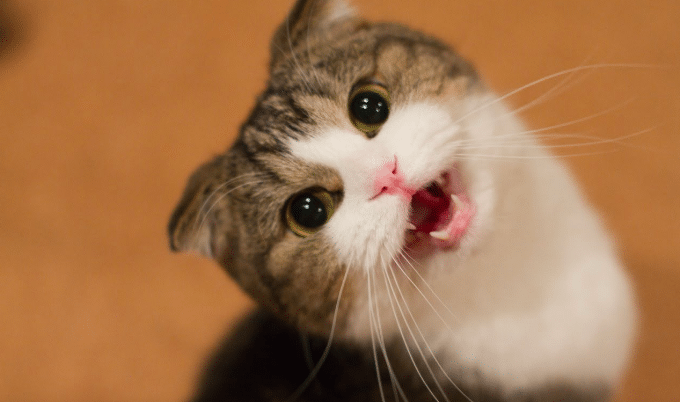 If you are hearing these sounds, it means your cat is happy to see you. 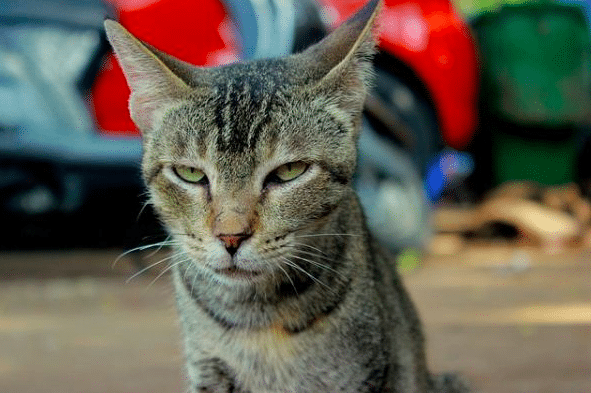 Cats definitely have ways of expressing dissatisfaction with a situation. They might chatter when they are frustrated about not getting their way. This is sort of the cat way of throwing a hissy fit. Cats love attention. If your cat feels ignored, he may try to get in the way so that you are forced to pay attention to him. 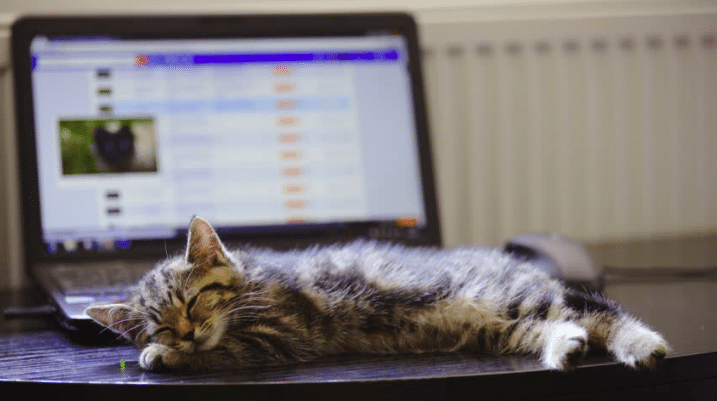 He might lay across your keyboard or on top of the book you are reading. Anything to get you to look at him. This one is a huge compliment. Cats like to lay on their owner’s chests because they are warm and they can feel their human’s heart beating. 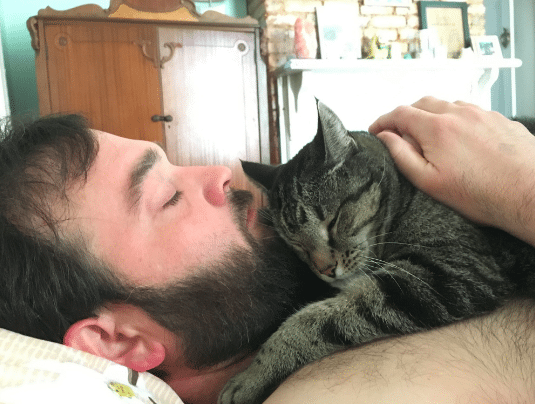 This is a sign that your cat feels totally at ease with you. 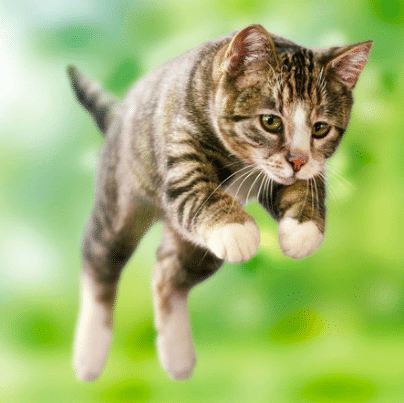 Cats love to leap, and they will do so at random times. 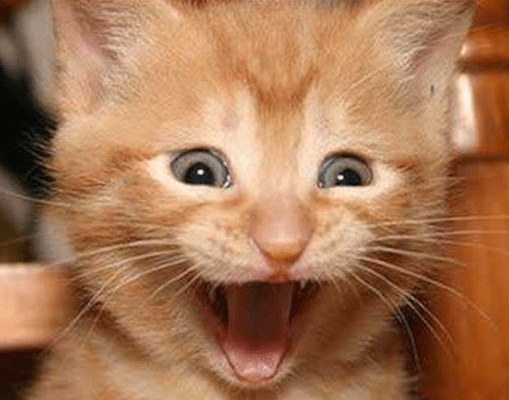 If your cat is jumping around the room, it is because he has extra energy to burn. Once he is done exercising, he will be ready to rest again. You probably don’t have to be told that this is a bad sign. 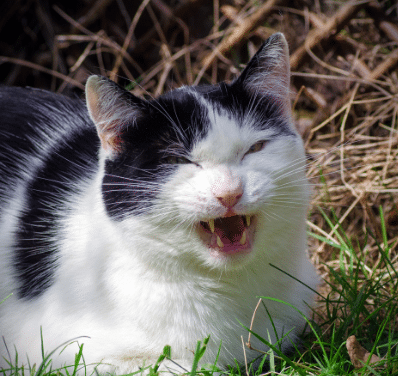 When a cat is hissing or growling, he is very grumpy and wants to be left alone. The best thing you can do is walk away. If your cat lays down next to you and starts to stretch, it means he is looking for your attention. The cat is letting you know that this would be the perfect time to snuggle. This is a clear sign of distress. Your cat may be in pain, or he may be upset because he hasn’t seen you in a while. If your cat has not been fixed, this may also be a mating call. Purring is actually relaxing to a cat. Not only will a cat purr when it is comfortable, but cats will also purr to make themselves more comfortable. A purring cat is a happy cat. 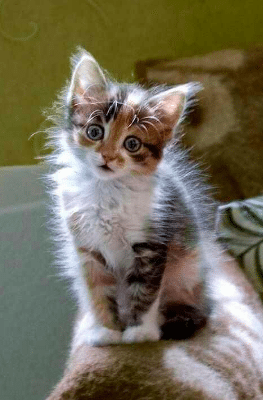 If the tip of your cat’s tail is twitching, he is excited and focused. This is usually the case when he is hunting. 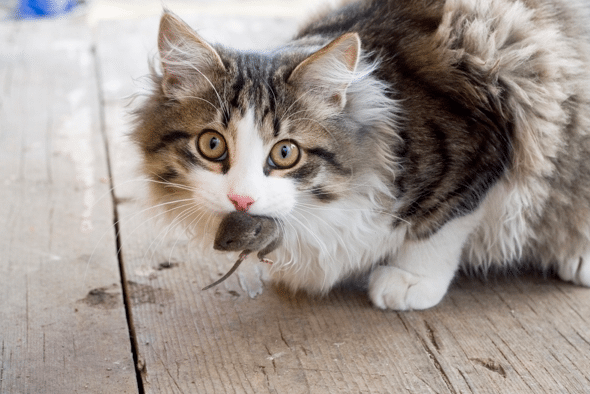 Let your cat capture his prey, and he will calm back down. Just like in humans, a cat may drool as a sign of affection. This doesn’t happen with every kitty, but if your cat is drooling he is definitely in love with you. Cats love their cuddles. 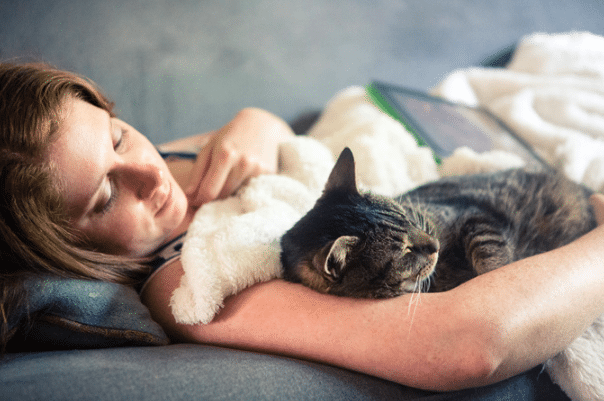 If your cat curls up next to you on the couch, he is showing you love and affection. 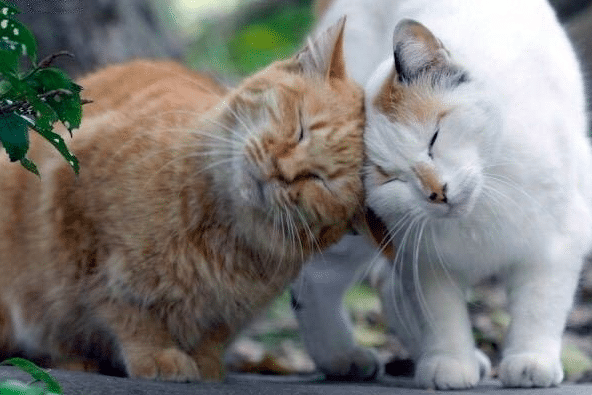 Show the love back for an even stronger connection with your cat. Your cat may try to bring you presents, although they won’t be the kind you want. Your cat recognizes that you are providing for the family and wants to help out. So when he brings you a dead mouse, he thinks he is helping prepare dinner. If your cat is in love with you, he will never want to leave your side. He will follow you into every room and sit next to you at every seat. Enjoy the attention while you can. 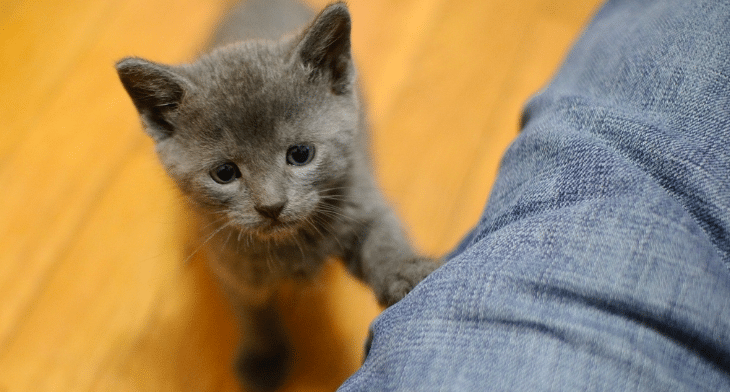 If your cat gets an attitude every time you leave, it is because he never wants to let you go. Your cat sees you as the leader of the pack, and he wants to spend the whole day by your side. When you return home from a long day, your cat will be bouncing off the walls. This is because he is so excited to see you. Spend quality time with your cat; he will appreciate it. A cat’s belly is his most vulnerable part. If he exposes it to you, it means he trusts you completely. It is also a sign that your cat wants affection. This is when your cat repeatedly bonks his head into you. It may seem strange, but this is your cat’s way of saying, “I love you.” Just think of it as a way of trying to get attention. Cats need to scratch so that their claws don’t get too long. But if your cat insists on scratching wherever you are, it is all about you. He can’t stand that you might have something to think about other than him. This is definitely not how a cat naturally walks. 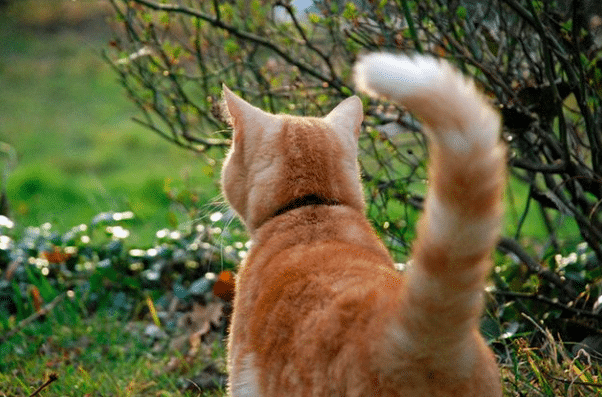 If your cat’s tail is sticking straight up, it means he is excited. He is probably super happy to see you and wants to spend more time with you. 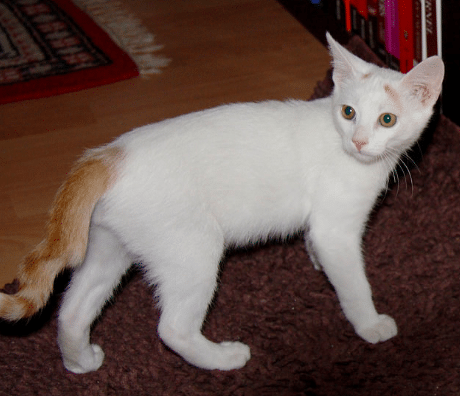 Cats like to play, and it is in their nature to play hunting games for sport. 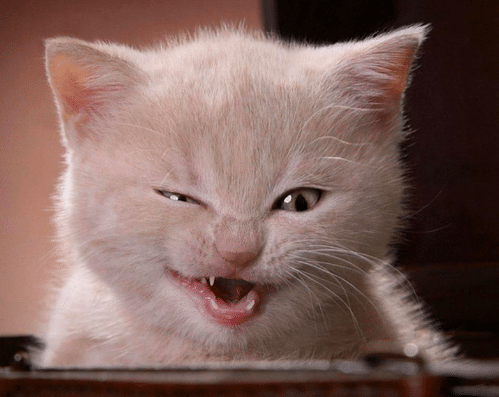 Your cat might gently swipe at you or give you little love bites. 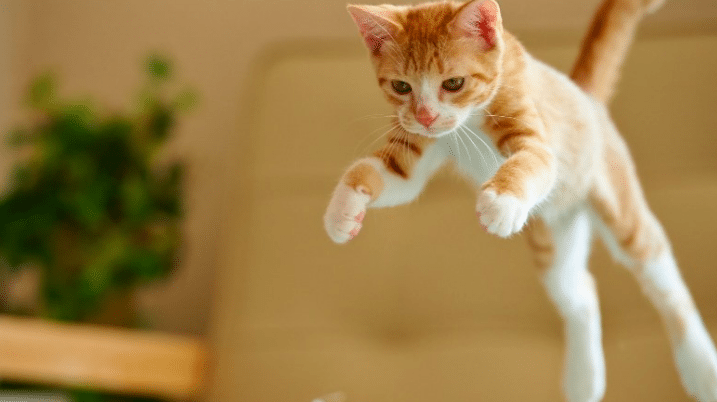 As long as they are small and controlled, your cat is just trying to be playful. 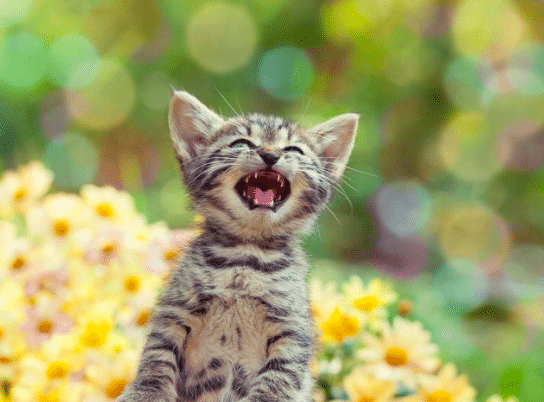 If your cat is meowing continuously, he wants to be heard. Maybe you haven’t petted him in a while, or maybe he is just being selfish with your love. Whatever the case may be, your cat wants your complete focus. There are two reasons for your cat’s fur to stick out. The first could be that he feels threatened or frightened. But if no threat is present, your cat is just extra excited to see you. How sweet. If your cat’s tail is curled at the end, it means that he is happy. 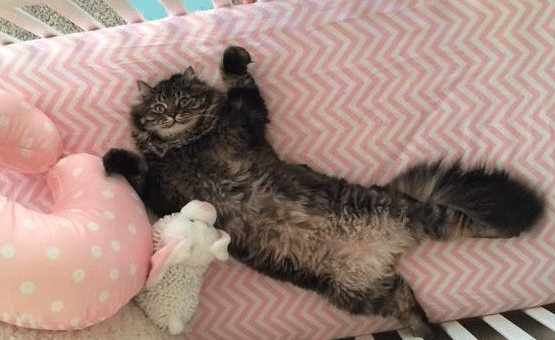 Your cat doesn’t have a care in the world, except maybe when you will pet him next. 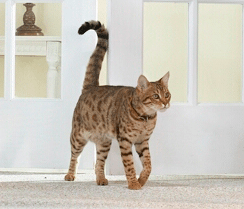 If your cat’s tail is straight and low, this means he feels scared or guilty. 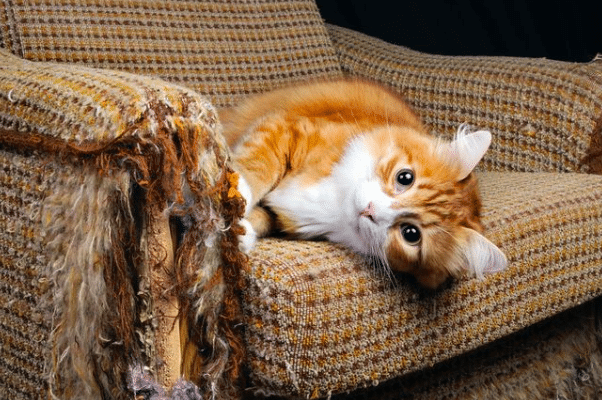 Look around the room for a mess; your cat may be ashamed of his previous actions. If your cat is feeling frightened, be sure to behave gently and sweetly. 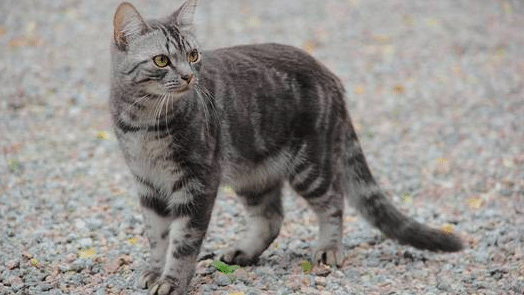 If your cat’s tail starts high and straight and then lowers, this is a sign of grief. Your cat feels afraid and is in need of comfort. 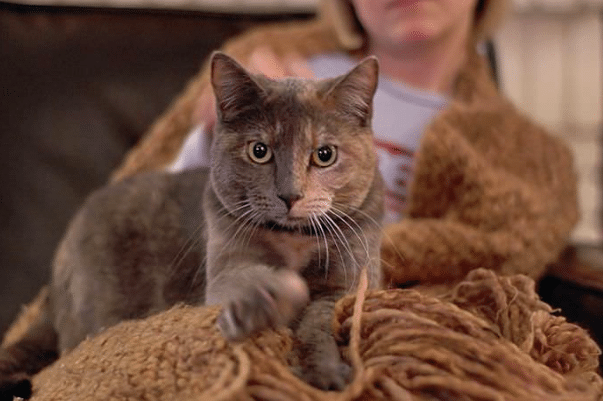 As the cat owner and leader, it is your job to make sure your kitty feels secure. 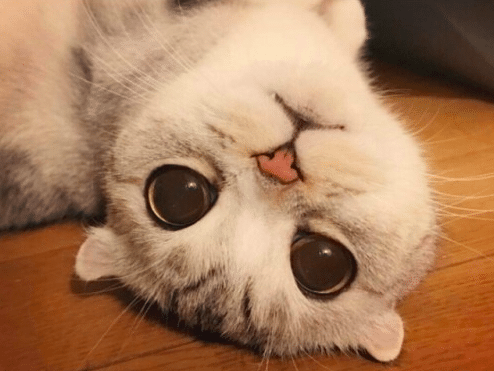 If your cat’s pupils are dilated, this is a sign that he is feeling playful. Break out the toys and have a play date with your cat. He will love it. This is an unfailing sign of trust. In the wild, eye contact can be a sign of aggression. Most animals fear that eye contact with a human means the person will attack. So if your cat is looking you straight in the eyes, he trusts you with his life. 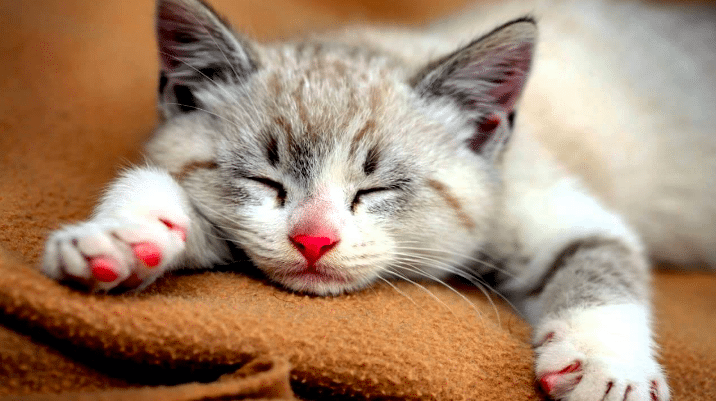 This is a sign that your cat feels calm and comfortable…and maybe a little sleepy. Slow blinks are like a cue for cuddles. If you have the time, show your cat some love. Occasionally your cat may poke your leg with a wet nose. Don’t think this is gross – it is a way of showing you love. 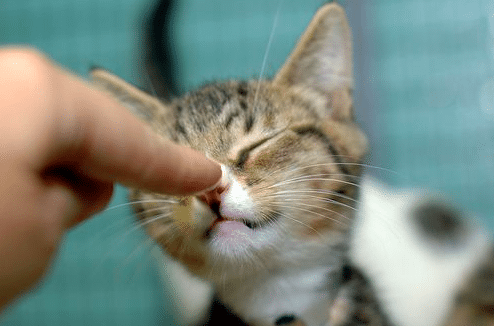 Cats will only touch their noses to their owners when they feel totally safe. This is a sign of affection that goes beyond being grateful that you have provided a home for your cat. 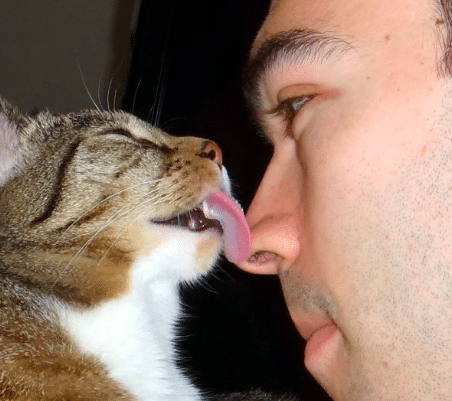 When a cat licks you, it means he thinks of you as part of the family. Revel in the moment. This one will definitely seem odd, but in your cat’s mind he is cleaning you. 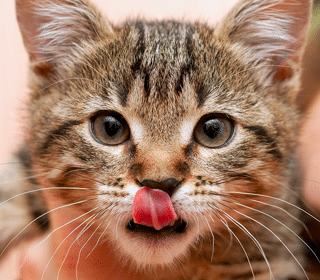 Cats groom themselves with their tongues, so when they bite or lick your hair they are trying to give you a bath.